The Fall 2018 High Point Market began yesterday, and even though my fabulous mother retired last week after decades of hard work, I thought it was a *little* early to cash in on her free time for me to make the trip to North Carolina. Maybe I’ll finally go next spring. Anywho! For those designers who can’t be there, lots of vendors still send out sneak peeks of the new lines they will be debuting. One line I’m SUPER excited to start using is Hudson Valley Lighting’s new collaboration with Mark D. Sikes. It’s called “Classics,” and I’m all about fresh classic — aka new traditional or “neo-trad” — design! Everybody knows Mark. 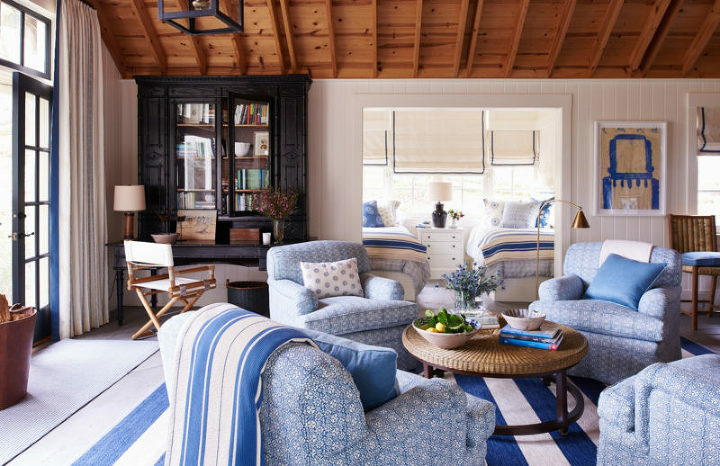 He’s all about updated twists on American classics, blue & white, hand-block print fabrics, and natural textures. Basically, if New England and California design hooked up, Mark would be their love child. All pics from Mark D. Sikes, unless noted. The 2017 Coastal Living Idea House. Beautiful by Mark D. Sikes, perfect for the special Blue & White Design Addict in your life. This isn’t the first time I’ve written about Hudson Valley Lighting. HVL has always had a nice product, but there was a time when it was, well, a little staid, if you know what I mean. It was a great go-to for good quality traditional lighting at a reasonable price. But in the last year or so — Wow! — the company is just hitting one home run after another. They still have the traditional offerings, but the modern and updated classics are just so exciting. Some of my favorites from Mark’s new lighting line. I have a couple of these earmarked for projects already! 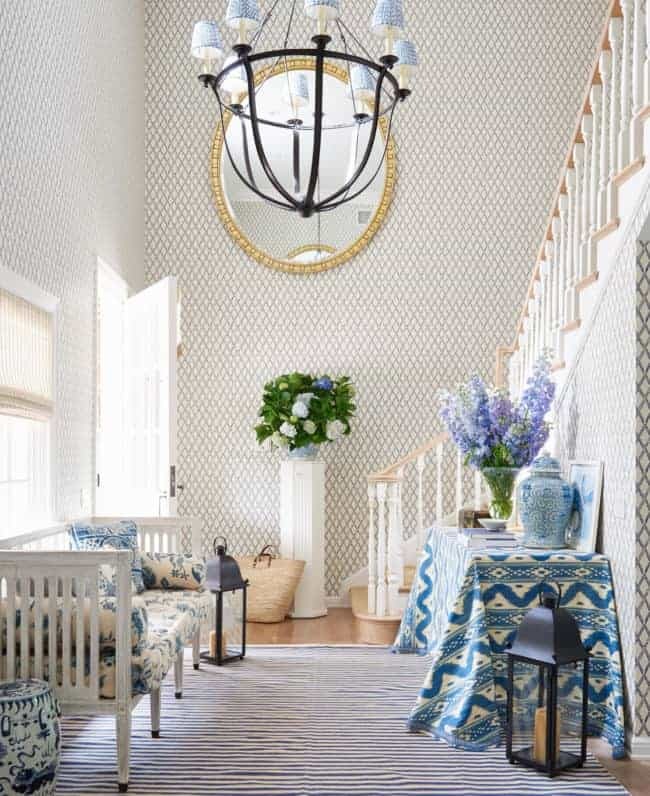 Y’all may remember that I used Hudson Valley Lighting (this amazing chandelier, these sconces, and this flush mount) in my Ultimate She-Shed for the Spring 2018 One Room Challenge. Photo by Sabrina Cole Quinn Photography. The whole line can be seen here. Any favorites of yours? 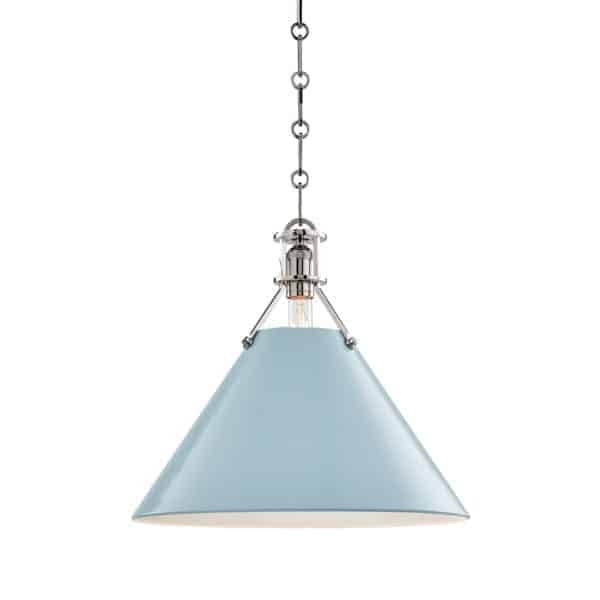 I think those blue pendants are crazy good, IMO.